[23/02/13 21:35:56] Maria Guggenbichler: I don’t know – I like both: keeping it as what it is, performativity, communication, interaction, and leaving the Chinese whisper, the gossip, the rumour being the best way to transport it, document it, represent it. On the other hand: we cannot and should not, especially not with small, nice, sensitive, generous practices and projects leave the canon and history to the big art wankers with the great gestures. The small gestures are the grand gestures, that should be the future of art, art institutions, art curators, art canon and art history. YES! Manifesto times, Sally! Ok Maria, let’s write a MANIFESTO! Yes, let’s think about a MANIFESTO. Love them. I often find manifestos the most interesting part of artists‘ production. Some painters, e.g. 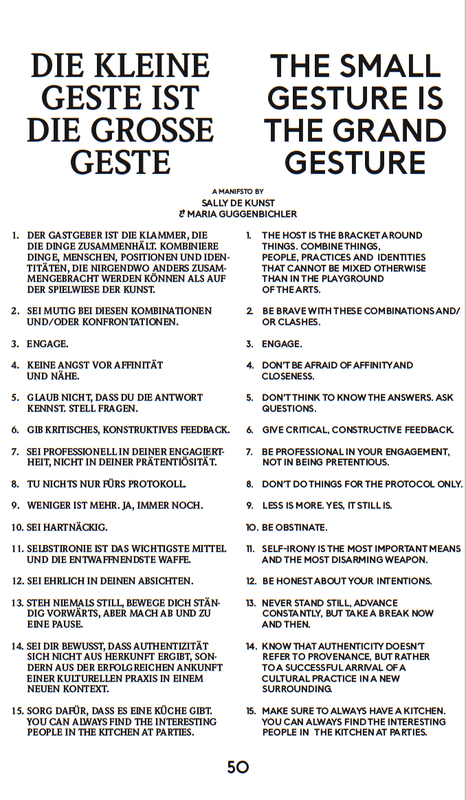 anarchist situationist international members Gruppe Spur from Munich, wrote such brilliant manifestos. The paintings get old with time, but the manifestos are still so good! You’re right. There is of course the Futurist Manifesto. Or the Party Program of the Best Party in Reykjavik, in Iceland. Maybe we can have diner tomorrow? And discuss further? Dinner sounds good, but I can only do it rather early, like 7pm? Need to be back for a skype meeting at 10pm. Yes, that’s fine because at 9pm I have to pick up an artist from the station. I will text you, ok? 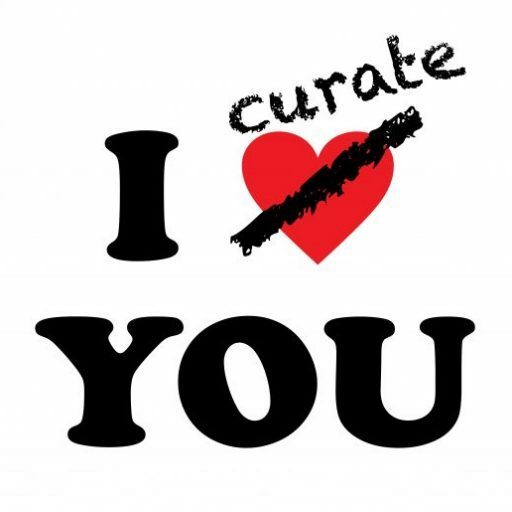 [23/02/13 21:53:33] Maria Guggenbichler: Yes, please do! See you tomorrow, Sally! Night night. Sally De Kunst has been the director of the Festival Belluard Bollwerk International in Fribourg, Switzerland, since six years. (www.belluard.ch). Maria Guggenbichler is a German-born artist currently living and working in Amsterdam, but scattering her artistic practice all over the world.